Because the upcoming adaptation had me itching for more, I re-watched the 2002 version of Xiao Shi Yi Lang 蕭十一郎 starring Nicky Wu (Legend of Zu), Athena Chu and Yu Bo. Without further ado, below are the memorable scenes that turned this TV series into a classic. Warning: spoilers ahead. Xiao Shi Yi Lang (Nicky Wu) and Shen Bi Jun's (Athena Chu) love story began after an accidental meeting when the happy-go-lucky bandit Xiao Shi Yi Lang crashes through the roof on his way to steal the Deer Carver Sabre (Ge Lu Dao). 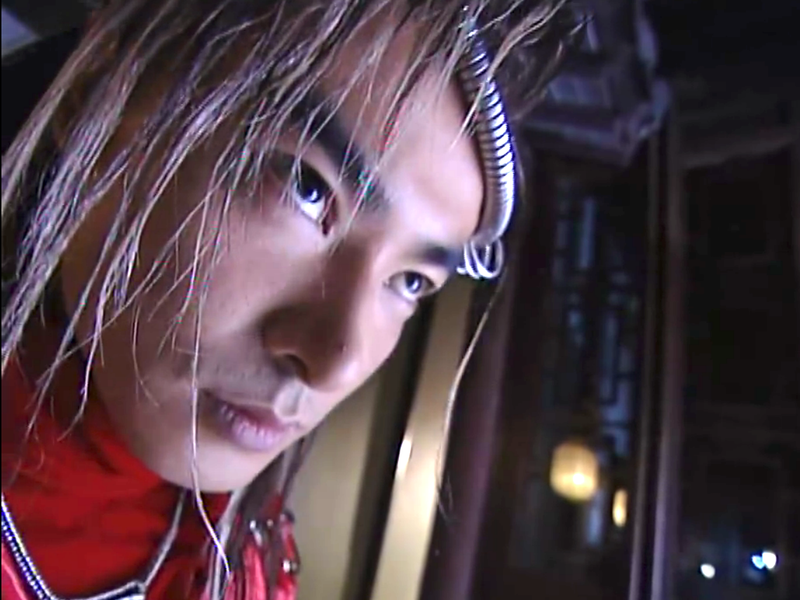 Even though Xiao Shi Yi Lang succeeds, he decides to return the legendary sabre that will be used as Bi Jun's dowry when she marries Lian Cheng Bi. Multiple kidnappings attempts later and the two have developed strong feelings for each other as Shi Yi Lang happens to save Bi Jun time and again. Despite having second thoughts, Bi Jun ultimately carries on with the wedding for the sake of the Shen family. What ensues is a series of misunderstandings exacerbated by a constantly suspicious Lian Cheng Bi (Yu Bo) who is determined not to be made a fool. Beneath his kind and gentlemanly exterior is actually a perceptive yet distrustful man whose lack of faith in Bi Jun causes their relationship to wither from the very start. Because of his mission as the protector of the Deer Carver Sabre, circumstances keep bringing Xiao Shi Yi Lang and Bi Jun together whilst her relationship with husband Liang Cheng Bi is pulled further apart. When the three were trapped in Xiao Yao Hou's territory, Bi Jun selflessly stepped forward to save Xiao Shi Yi Lang in spite of Lian Cheng Bi's warning that her actions will ruin their marriage. 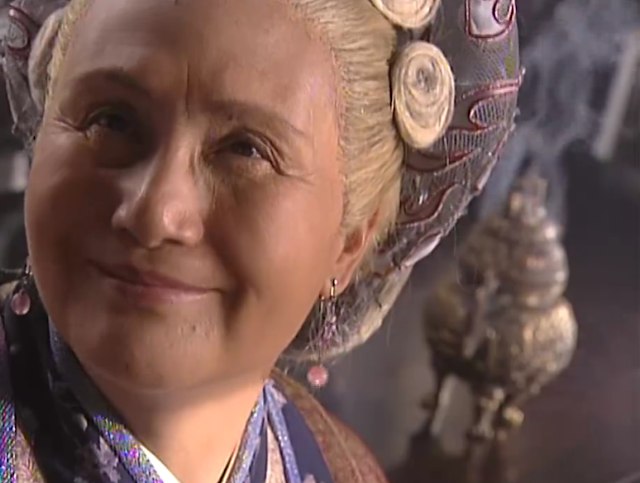 Yet the series is not without its flaws, thanks to a meddlesome Lao Lao, a prejudiced Tai Jun (Bi Jun's grandma) and even a quasi-intelligent Bi Jun who is often deceived into hurting Xiao Shi Yi Lang. One such instance is when she stabs him with a sword after believing that he conspired with Xiao Yao Hou to capture Bi Jun's grandma. At times, the plot contrivance can be as silly as Bi Jun rushing in between two men in the midst of a fight so that the highly-skilled martial artist Xiao Shi Yi Lang can end up injured, effecting a much more dramatic scene. Feng Si Niang and Yang Kai Tai's story is quite well-developed despite being on the sidelines. Love triangles are painful enough and for Si Niang to be the fourth leg of that triangle would have been overkill so I'm glad that as the series progresses, Si Niang slowly gets over her childhood friend Xiao Shi Yi Lang and finds purpose in helping Yang Kai Tai recover from the loss of his father. The second half of the series is when Lian Cheng Bi completely turns to the dark side creating innumerable problems for the good guys. 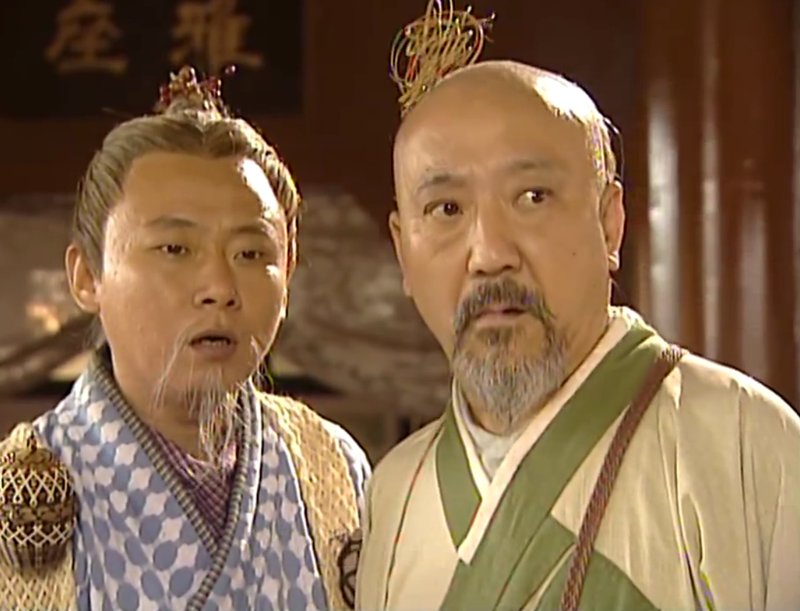 Enraged over losing Bi Jun, he is pushed over the edge after overhearing that Tai Jun coaxed Bi Jun into marrying him despite Bi Jun's pleas to call it off. While I don't disagree that Tai Jun should bear the brunt of the blame, a diabolic Cheng Bi exacts his revenge in the most despicable way possible. He offers the oblivious grandma a cup of tea that will cause her to lose reason and kill people every night, knowing that the only solution will be for Xiao Shi Yi Lang to become the bad guy by cutting off Tai Jun's head. Half a year passes and Xiao Shi Yi Lang returns with a pregnant lady named Bing Bing who is actually Cheng Bi's sister Lian Cheng Jin. However, the two go through great lengths to hide Cheng Jin's identity, puzzling even her uncles Bai Yang and Lu Liu. Sure enough, Lian Cheng Bi had to confirm his sister's identity so that he can finish the deed to kill her. 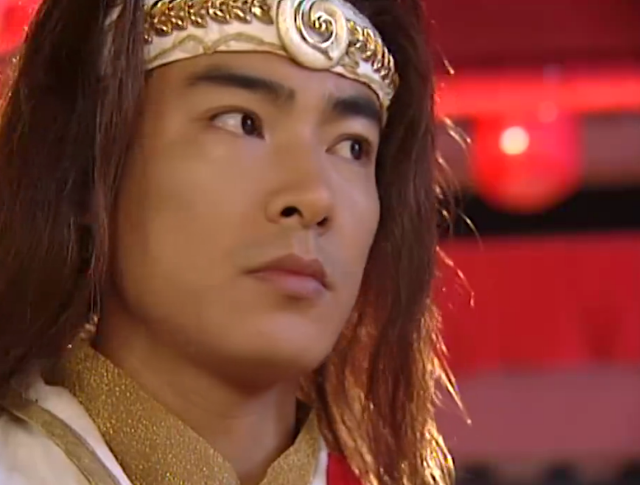 Although his second attempt remained unsuccessful, Lian Cheng Bi's identity as the big bad clad in red is revealed. I can't end the posting without talking about the interactions between Xiao Shi Yi Lang and the masked man. Their dialogues while short are fraught with humor bringing out a pleasant father-son dynamic, which is a much-needed balance to the drama in Xiao Shi Yi Lang's love life. At least one thing in his life is going well given that Xiao Shi Yi Lang always had the masked man to look out for him, and not a stupid person who can be easily manipulated to stab him in the back or anywhere else because that has happened one too many times. 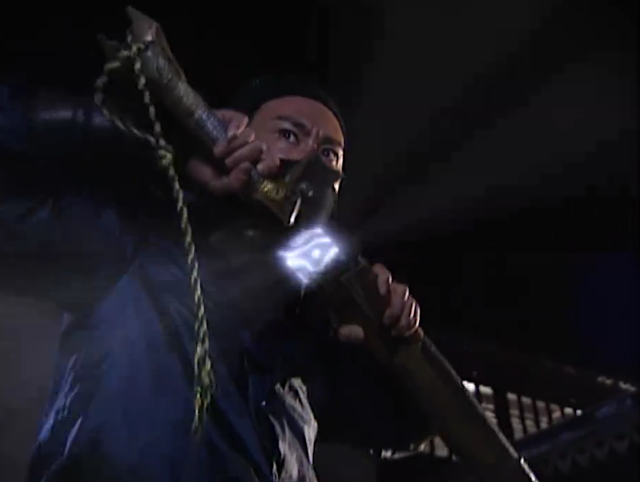 The much-awaited reveal happens towards the latter part of the series when the masked Er Guo Tou finally pulls out the Deer Carver Sabre proving that he is none other than Xiao Shi Yi Lang's long-lost father. On a sidenote, I find it hard to believe that Xiao Shi Yi Lang couldn't recognize his father's face. It's not like he was that young when they were separated? 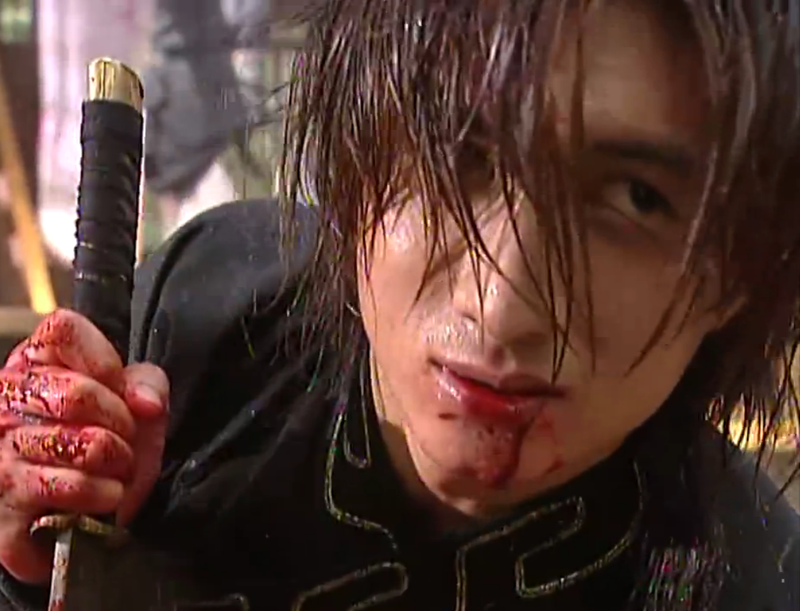 Hands down one of the most exciting battles in the entire series occurs in the last episode when Xiao Shi Yi Lang walks into an ambush of epic proportions where he gets backstabbed by not one but two of his close friends and has to face a multitude of assassins. 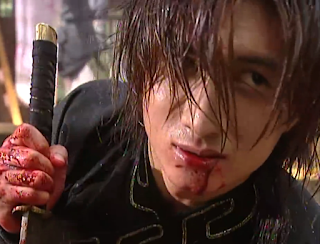 Having been misinformed about Bi Jun's death, Xiao Shi Yi Lang still fought down to his last breath determined to take down as many people with him amidst the thrashing of swords. 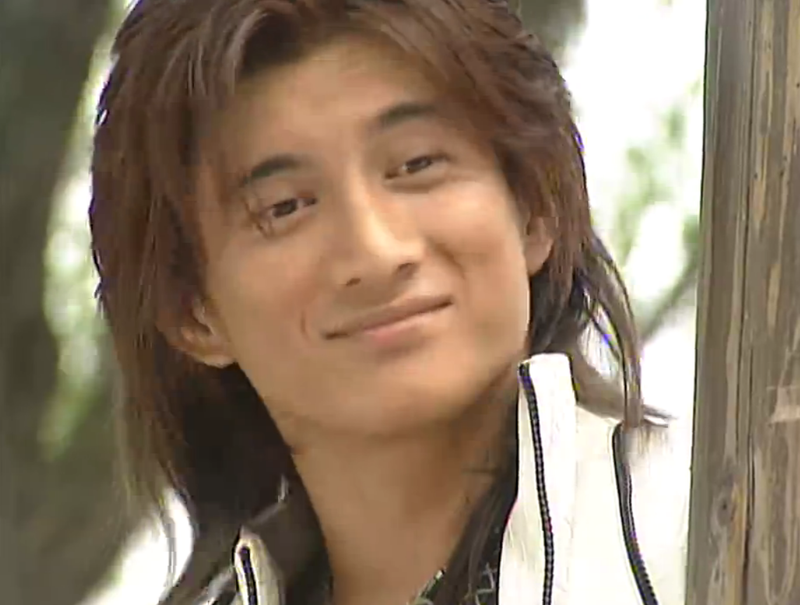 Fortunately, Bi Jun arrives in the nick of time to save Xiao for his final showdown with Lian Cheng Bi. What drama would you like to remember next? Oh, this is a beautiful write-up. The Nicky Wu adaptation of Xiao Shiyi Lang is my favorite drama of all time, for many of the reasons you listed here. Yeah, it's not a perfect drama, but it's pretty darn close. So glad to see that someone else also appreciates this series! Thanks Kycoo. I tried watching the new one but yes, first one definitely deserves to be called a classic. Wah.. Really. I hv never watched the first(nicky Wu's), watching the second. I was quite non-chalent ab it until the dilemma SYL has to make to save the life of BJ, by totally curing her of love venom. any one can tell me where can i find eng sub for this. I watched it a long time ago and i would like to revisit this drama. h sorry don't know where there are eng subs.. I watched it on LeTV it's all in Chinese tho. I love this series so much and been searching for it everywhere to watch again, I wonder if someone has a hyperlink to the video.